Liverpool's 3-0 Champions League win over Maribor did not come without cost as Georginio Wijnaldum was added to a growing injury list. The Holland midfielder limped off after just 17 minutes to join the likes of Philippe Coutinho, Dejan Lovren, Adam Lallana, Sadio Mane and Nathaniel Clyne as players currently unavailable to Jurgen Klopp. 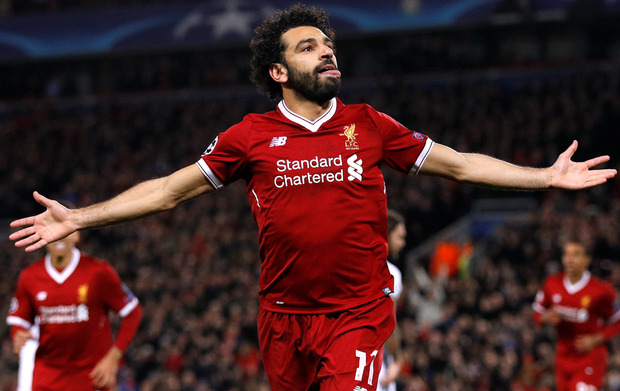 Second-half goals from Mohamed Salah, Emre Can and Daniel Sturridge meant Liverpool - for whom James Milner missed a penalty - edged closer to the knockout stages, but Klopp's thoughts immediately turned to Saturday's trip to West Ham. Lovren, who sustained a thigh problem in the warm-up against Huddersfield in Saturday, still has a chance of making that game but he is likely to be the only one and Wijnaldum's injury puts additional pressure on the midfield. "At half-time the ankle was already swollen. It is probably not a good sign," said Klopp. "We saw a kick in the game, we didn't think it was too serious, we were not sure if it was swollen or if he twisted it. For sure we have to make a scan." Coutinho's absence is set to be extended to a third match as his recovery from an adductor problem is slow. "I don't think Phil will be able to play, with Dejan (Lovren) it's different, it's not the same problem as Phil had," added Klopp. "Gini is out, maybe there will be some wonder (recovery) with Phil but I don't think at the moment that he can play." Maribor coach Darko Milanic, who had seen his side demolished 7-0 a fortnight ago, adopted a very defensive approach at Anfield and, while it worked for 45 minutes, the pressure eventually told. "I am sure the decision for this kind of tactic was very good. We couldn't play any different way," the former Leeds boss said. "The first half was a very good half defensively. The goal we conceded at the beginning of the second half gave our opponent additional energy. "When the goalkeeper saved the penalty it gave us more energy but in the end I have to congratulate my boys for the very good match they played."